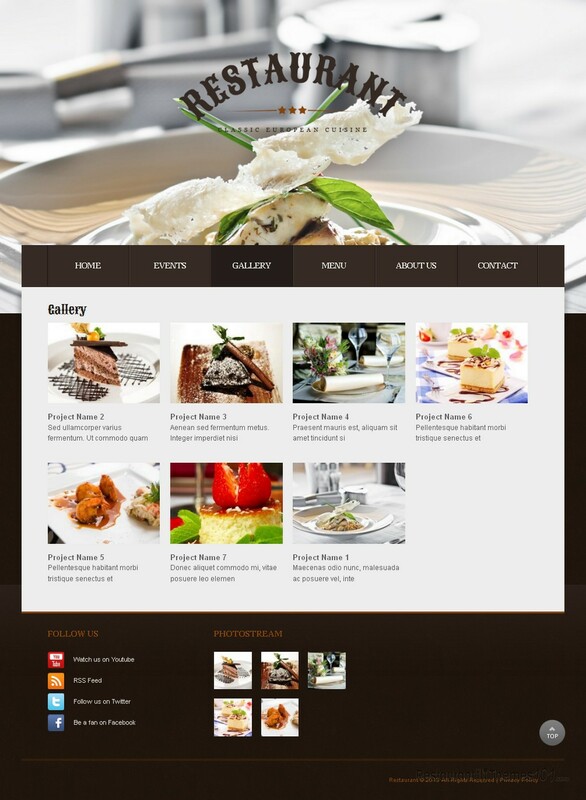 If you are looking for a great Drupal restaurant theme, you are on the right track to find it. 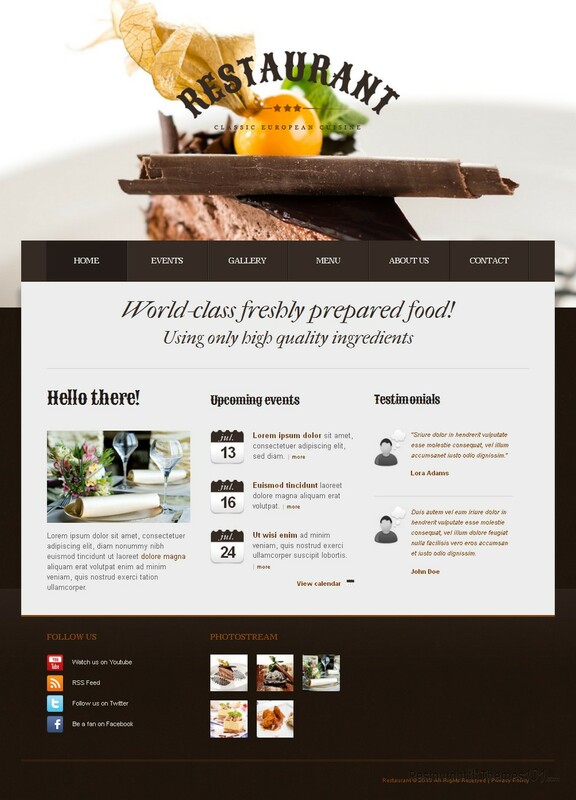 Restaurant is a nice theme created by Irene and presented at Template Monster. The layout of this theme looks very professional and compact with a great set of colors: brown and gray with black details. The homepage looks very attractive and eye catching. A big, quality photo of a delicacy placed at the very top of your website will attract all the attention needed and point it in the right direction: the fabulous food you offer. 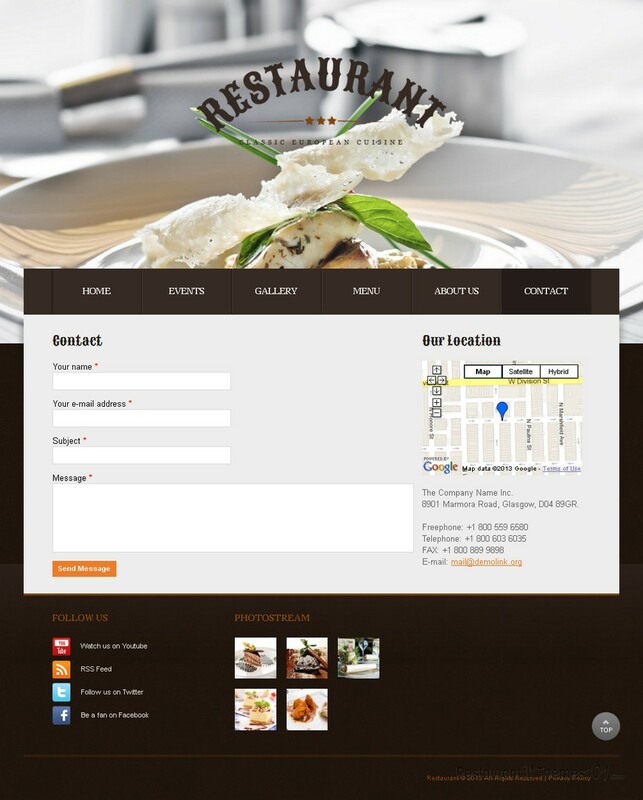 Restaurant allows you to post a nice introduction on your homepage and welcome your visitors to your restaurant with a warm message and a nice photo of what you offer to them. 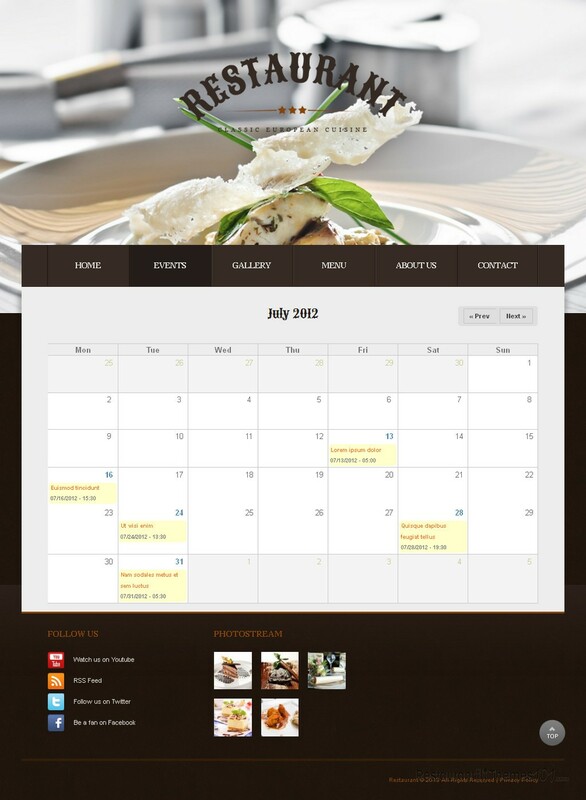 If you have any upcoming events ahead, you will be able to feature them on your homepage along with dates and short descriptions, and after clicking “read more” your visitors will be taken to the full content page where you can post all you want about the event featured and tell your visitors in detail about your happenings. Adding testimonials of your satisfied customers to your homepage is another nice touch, and this theme makes it possible for you to brag with all the nice praise your customers have given you. Make your visitors hungry for your servings by featuring your most popular meals on your homepage in form of thumbnail photos, which after clicking redirect the user to a post you have prepared for them, where you can tell them all about your delicious dish, and add mouthwatering photos of it. 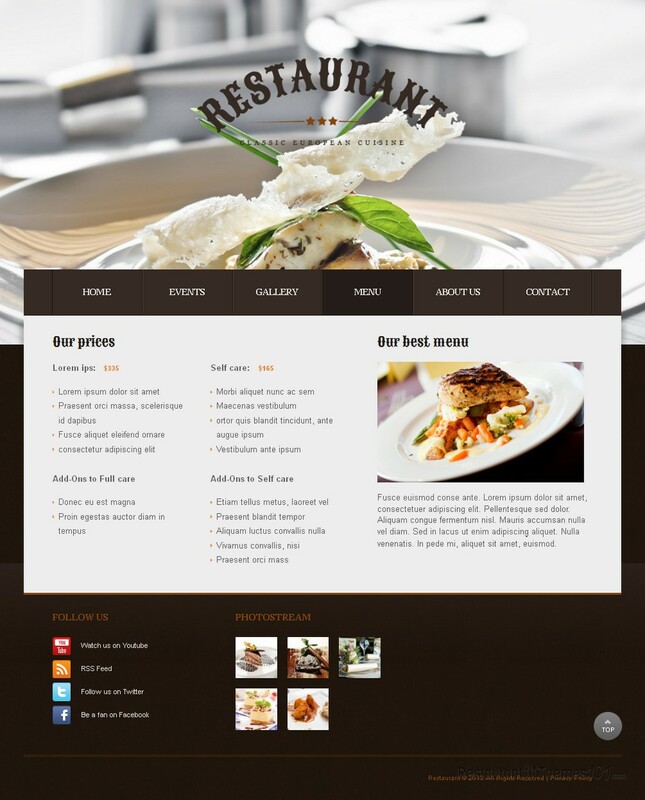 This is a restaurant theme for Drupal with great social integration. It allows you to connect with all the most popular social networks and it features a custom Twitter widget so you can have your latest tweets shown on your homepage. Restaurant comes with a nice amount of documentation and PSD files. It is very easy to customize the theme, even for users who have no special coding knowledge.